Nearly four years after Dr. Otto Thaning set the record for the oldest individual to successfully complete a 33.8 km crossing of the English Channel, the cardiologist from South Africa attempted another English Channel crossing at the age of 77. But it was not his day as he voluntarily stopped after 1.5 hours. Previously, Dr. Thaning had spent time training with Lewis Pugh. 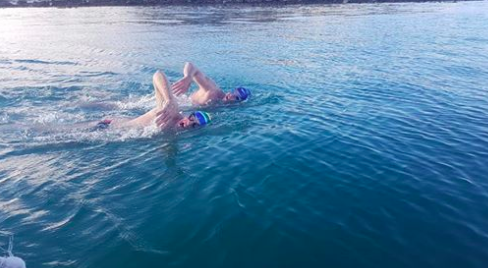 The two open water swimming adventurers had swam together in Langebaan, South Africa and in the English Channel where Dr. Thaning swam daily with Pugh during The Long Swim along the northern coast of the English Channel.